ROBBIE WILLIAMS used to love angels, but instead another flying phenomenon is taking up his time. The pop star has developed an obsession with aliens. He is so fascinated that he recently jetted to a UFO convention in Nevada to pursue his hobby. At the US conference 34-year-old Robbie revealed he had retreated into paranormal investigation to fill a “void” in his life and escape the pressures of fame. He explains: “I have spent so much time looking at pictures on websites like Above Top Secret and reading conspiracy theories that I want to go and meet these people. “I want to do something other than sit in my bed watching the news at half past ten, I want to go out and do something. Robbie tells of his belief that UFOs are “there all the time” but only show themselves on Earth when they make mistakes and their “protective shields” come off. He travelled to the convention in Laughlin on a private plane, accompanied by his actress girlfriend AYDA FIELD , 28, and a record producer pal. The star, who has piled on the pounds in recent months, was sporting a full beard plus a khaki outfit and hat. At the conference he was almost moved to tears by a meeting with Ann Andrews, from Lincolnshire, who believes her son Jason is regularly abducted by aliens. 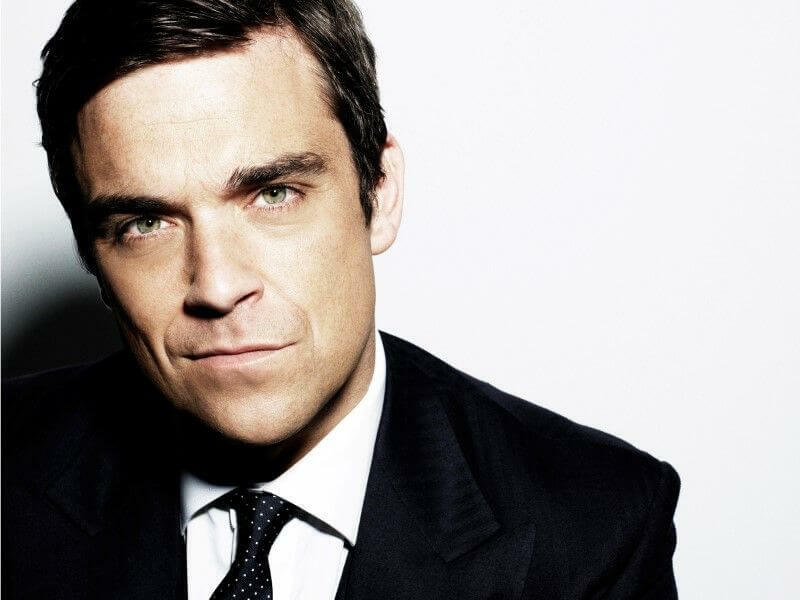 On meeting “Rob”, she doesn’t realise he is Robbie Williams. Jason, 24, was mercilessly teased as a child because of his wacky claims, Ann explains. But Robbie tells his mother: “He should be shown compassion even if he was making it up, which I don’t believe, by the way. Ann has written a book claiming her son is an “Indigo Child”, who has been put on Earth as a psychic sage. She claims he is regularly snatched by aliens for further instruction and has taken a number of hazy photos of him being “taken up in a spaceship”. She argues the pictures never come out well because she is not a very good photographer and only owns a disposable camera. Robbie tells of his fears that his interest in the paranormal may be a sign he is “going mental”. At one point he asks Ann if she ever doubts her mental health. At the end of their conversation Ann suggests that “Rob” looks a lot like Robbie Williams. Robbie’s mum Jan, 56, first sparked his interest in paranormal activity when he was a child. He reveals: “Mum was a tarot card reader. On the shelf just outside her room there would be the books about the world’s mysteries — elves, demons and witchcraft. “She’d have people round to read the tarot cards and read their palms. She’d talk about spirits, ghosts . . . the other side. At the conference Robbie also meets a scientist who specialises in examining “evidence” of alien visits. The singer insists on inspecting a flake of skin the investigator has been given, which is allegedly from a reptilian alien. Since finishing a world tour 18 months ago, Robbie has vanished from public view. The star spends hours holed up in his LA mansion researching UFOs on the net and watching DVDs about alien conspiracies. Earlier this week The Sun printed pictures showing how the former pin-up has ballooned. Under his multimillion pound record deal with EMI, Robbie was expected to release a new album this autumn. That seems to be on hold as he focuses his attention skyward. Robbie goes on to tell how he and Ayda spend hours on his balcony staring at the heavens. At the conference he meets Nick Pope, who has been dubbed the UK’s answer to X-Files character Fox Mulder. Nick once headed the Ministry of Defence unit responsible for investigating UFO sightings in UK airspace and was in Nevada to address the conference. He says: “Robbie emailed me to let me know he was going to the conference and asked if we could meet. He started his email, ‘Hi, it’s Robbie Williams (the singer)’. Embarrassingly, I walked straight past Robbie because he looked so different. “He looked like some sort of Cuban revolutionary. It was him who spotted me. He’s a nice guy with a genuine interest in the subject. And he certainly isn’t the first pop star to take an interest in the paranormal. Robbie’s visit to the Nevada conference was recorded by broadcaster Jon Ronson — who specialises in winning the trust of people with different beliefs — for a Radio 4 documentary. In the programme, Robbie admits the psychics he has dabbled with in the past have left him bitterly disappointed. He explains: “Every time I put my foot in the water as regards this kind of stuff, or paranormal stuff, I meet charlatans. But Robbie left the convention with 15 new UFO DVDs under his arm, so he certainly doesn’t seem disillusioned quite yet.